It’s been more than a decade since the Alaska State Board of Education and Early Development updated its classroom science standards. What’s missing is a thorough explanation of one of the biggest problems on Alaska’s doorstep: climate change. But on Friday, the board unanimously approved a draft framework of a growing national model, which makes that point clear. Alaska’s 13-year-old science standards would not make the honor roll according to Glenn Branch, the deputy director at the National Center for Science Education. “They’re very short and undetailed,” Branch said. But Branch thinks the new standards under review are a big improvement. “It’s about as good as one can realistically expect,” he said. Alaska could be joining dozens of other states by adopting the framework of Next Generation Science Standards. Some school districts are already ahead of the curve. It’s becoming the benchmark for how science should be taught in the classroom. Think: less memorizing the periodic table, more experiencing how different metals react. Or getting an explanation of why much of Alaska has been able to shed a layer of clothing earlier in the spring. The standards don’t shy away from attributing climate change to human activity, due to increased carbon emissions. And Branch said classrooms need to be informed about the overwhelming scientific consensus. “The effects of climate change are increasingly visible and dangerous,” Branch said. This addition hasn’t gone smoothly in some other states. In New Mexico, for example, the state’s Public Education Department released draft science standards, leaving out concepts about climate change and evolution. The department eventually included those concepts after public outcry. But in Alaska, it seems to be moving right along. The State Board of Education hasn’t wavered, so far, from adopting the language. Does that mean all classrooms in Alaska could get a lesson on climate change soon? “Standards aren’t magic,” Branch said. According to a spokesperson from the Alaska Department of Education and Early Development, it’s still largely up to the school districts to decide how to incorporate the updated standards. Furthermore, not all schools require students to take an earth science class. That’s where the conversation about climate change typically shows up. But Branch thinks there are things the state can do to reinforce the message and help bring classrooms into this decade. 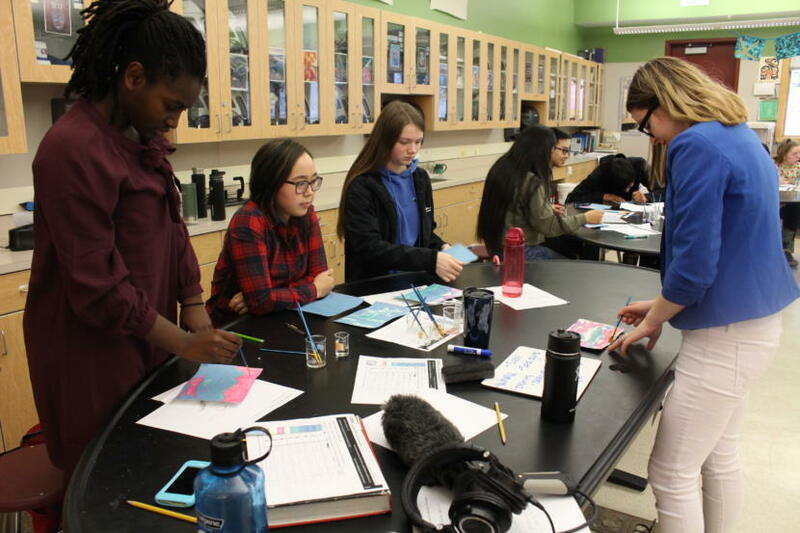 Last year, the Washington State Legislature allocated $4 million for climate science learning. That doesn’t seem likely to happen in Alaska anytime soon, given the state’s current budget deficit and proposed cuts. Meanwhile, the Alaska Board of Education has approved the draft standards, which will soon be available for public comment. The board is expected to vote on the new science standards this summer.